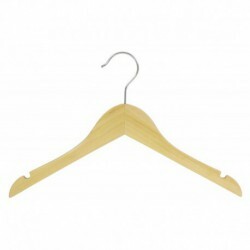 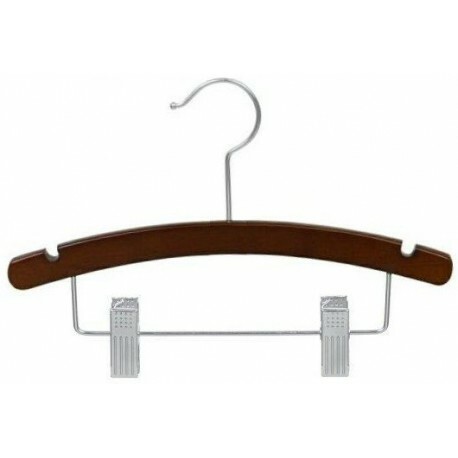 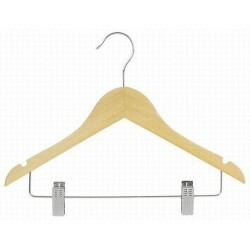 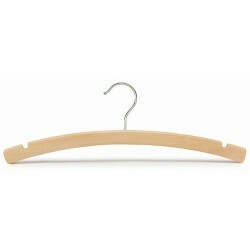 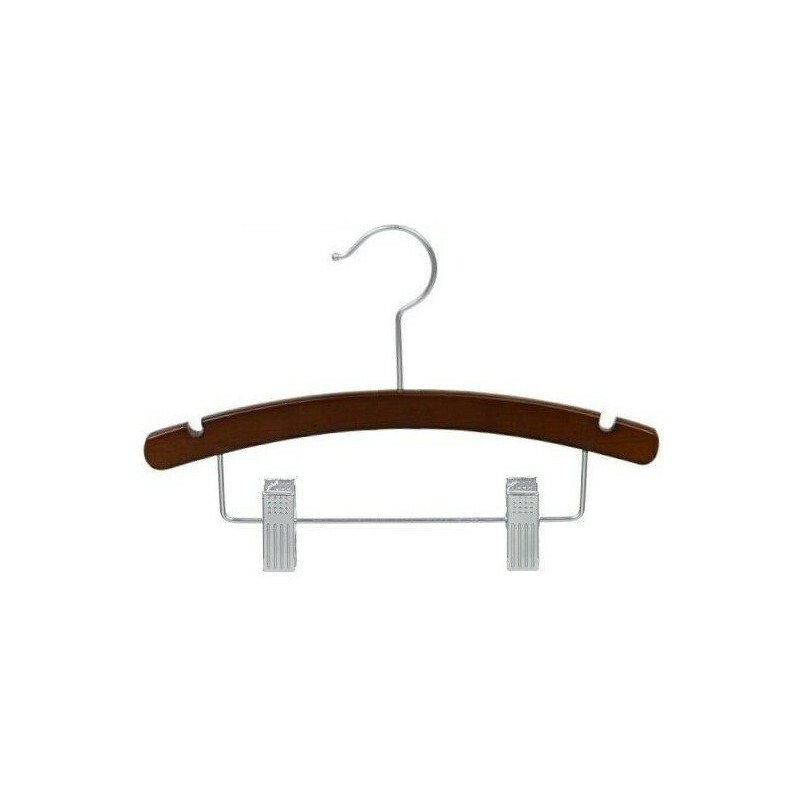 These 14" arched walnut hardwood combination hangers feature a space-saving flat body and notched shoulders for the option of hanging straps. 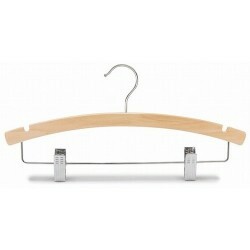 This style features a set of adjustable polished chrome clips with non-marking clear rubber cushions for hanging. Finished with a double coating of clear lacquer.